A key aspect of leadership is the followers’ constructions of its value and relevance. This seminar highlights the importance of the ‘demand’ for leadership when leader—follower relationships are established, where we discuss how followers can influence, inhibit and initiate managerial leadership (i.e. leadership acts from their formal superior targeting themselves), and what this means for managers expected to ’do leadership’. The empirical material is based on a Scandinavian case study, which also raises questions about cultural specific expectations on leadership and followership. 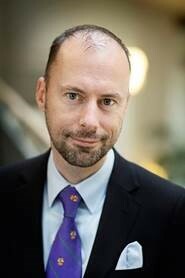 This conference will be presented by Martin Blom, Associate Professor in Business Administration at Lund University School of Economics and Management, Sweden. His research interests include leadership/followership, strategic management and corporate governance. Recent publications include Reflexive Leadership (Sage 2017, co-authored with Mats Alvesson and Stefan Sveningsson), Leadership studies — A Scandinavian inspired way forward? (Scandinavian Journal of Management 2016) and Textual objects and strategizing: The influence of documents as active objects on strategic recursiveness (Journal of Change Management 2016, co-authored with Mikael Lundgren).